Hopefully, this won't cause any ecological disasters in Legoland. 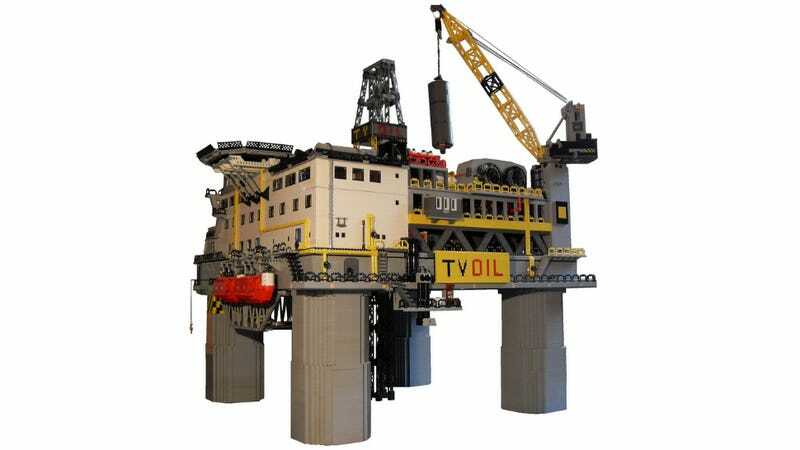 This ridiculously massive Lego oil rig is more than 3 feet tall and wide, and weights over 92 pounds. According to The Brothers Brick, Lego master Tobias Vogt spent three months building this, and it shows in the detailed build-out.